I'm on my fourth pair of Family Christmas socks - the first started just before we went away - and once they are off the needles I'll be getting stuck into this lovely stuff. 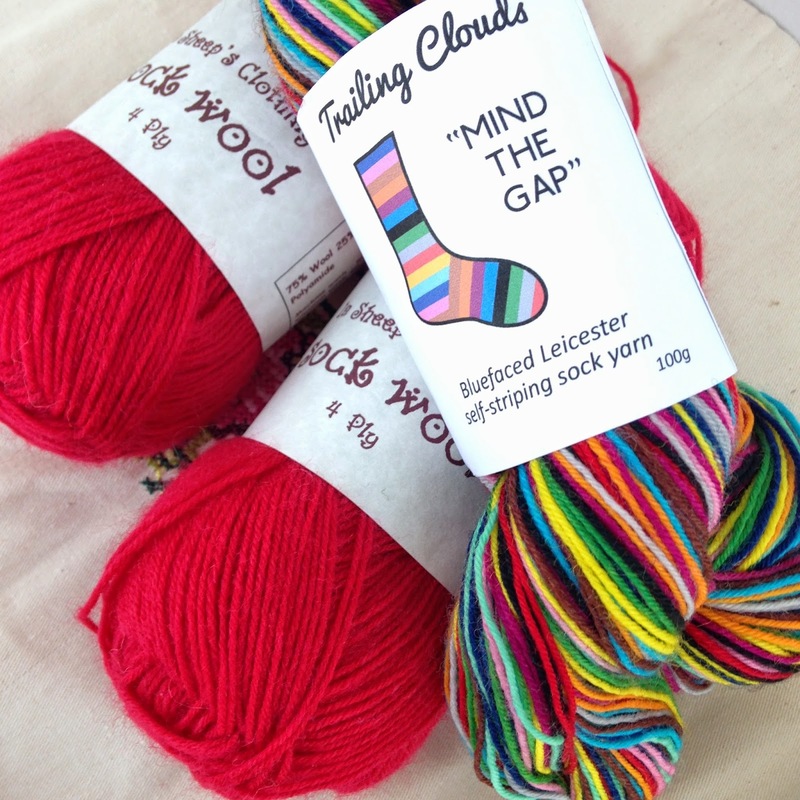 Mind The Gap BFL from my Barlaston Santa and the lovely red from my Secret Santa, I'm thinking red heels and toes. We went to Baked while we were in NY and I was eyeing up their gorgeous book, a bit too heavy so ordered it online and it was there when we arrived home. I made this for Miss Belle's party, a bit long winded for my liking but I was chuffed with the end result, however it was so difficult to get all of the sparklers going I completely forgot to take a photo. Notes I will be adding to my copy - the UK hundreds and thousands that I could find just loose their colour in the actual cake mix so don't bother, maybe we are stricter on food colour than the US? 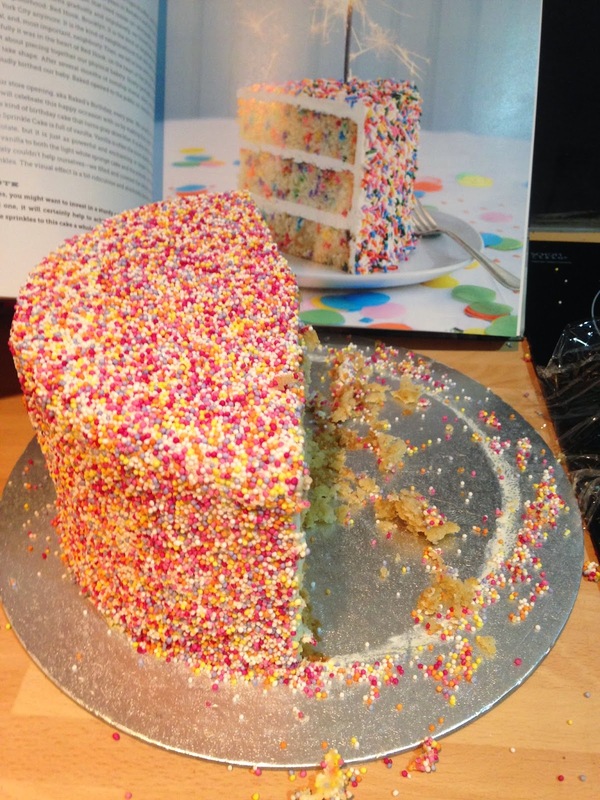 The best way to get them on to the cake is with a trowel, as if plastering a wall. The frosting ingredients seem weird - flour - but taste great and not too sweet.